On the 29th day of Rocktober Matthew Ryan gave to me....a rockin' little number about being pissed off at your father. Dissent from the Living room was self-recorded on a four-track in Ryan's home, and sold exclusively over his website. If you do a little Googling you can find the album in digital format. Or you can ask me nicely! 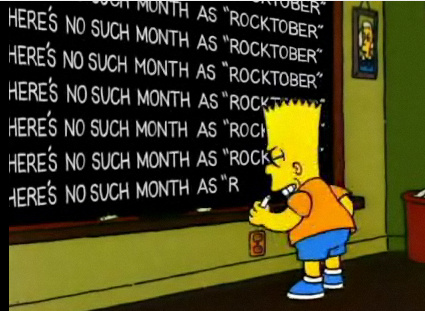 Also, Rocktober 29th is my mom's birthday. She spent the day playing golf, which is not so trivial in late October in Wisconsin. Happy Birthday Rockstar Mom! On the 30th of Rocktober The Skeletons gave to me....a little hard labor rockabilly! There are a ton of different bands named The Skeletons. This one formed in Springfield, Missouri, in the late 70s and frequently toured with Dave Alvin. They released three albums in the 90s. I can't find any current info on whether they still record and tour.